for adults, youth groups, as well as community service and outreach. and participate in our activities to get to know us! April/May issue is now available! The latest issue of Temple Israel's bi-monthly bulletin, Kol Yisrael, is now available. To learn more about our community offerings, view or download a copy by clicking here. 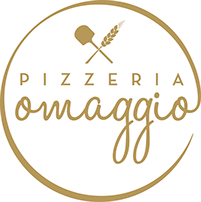 Thursday, April 18 - 5:45 p.m.
Young Professionals: Enjoy a pre-Passover pizza and pasta party at Pizzeria Omaggio (1055 Metropolitan Ave.) Light appetizers provided. RSVP to torahontapclt@gmail.com. Sunday, April 28 - 10 a.m.
Saturday, April 20 - 6 p.m.
We have reached capacity for our annual 2nd Night Community Seder, led by Cantor Lissek, and registration is now closed. If you are interested in being added to the waiting list, please click here. Please join us as we honor Rabbi Murray Ezring’s 25 years of service and leadership to our congregation and the Greater Charlotte community. As a friend, mentor and community leader, Temple Israel looks forward to bestowing upon him the title of Rabbi Emeritus. For details, click here. and more, with our wide assortment of beautiful Judaica! אין כמו בבית - Ayn k’mo babayit – there’s no place like home. The Hebrew word for home, bayit, transcends the brick and mortar structure, as it also describes a state of mind. Temple Israel is not only a gathering place, but it is a place to engage with Judaism and to transform your life through Torah, worship and acts of loving kindness. Our egalitarian kehillah kedosha was founded in 1895 by visionaries and is continued today by visionary lay leaders, clergy, and professional staff who want to help you find a sacred and safe place to connect to each other and to Judaism. Won’t you join us on this journey? Temple Israel….our house, your home. of Journeys, please click here.